GPF Kenya at Muthaiga Country Club in Nairobi. Amid heightened political and tribal tensions leading into the 2017 Kenya general election, the Global Peace Foundation has rolled out the One Nation under God campaign as a platform for coordinated efforts to curtail violence and secure a peaceful election. 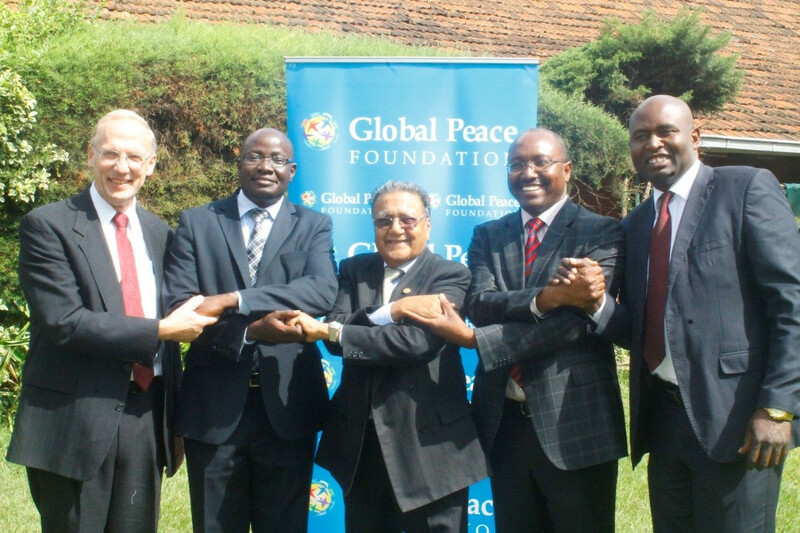 The peace initiative was inaugurated in Nairobi on September 26 at a luncheon hosted by Global Peace Foundation Kenya patron and businessman Dr. Manu Chandaria. Violent outbreaks following the presidential election killed thousands, displaced hundreds of thousands and left millions of dollars of property damage in its wake. Global Peace Foundation was among first responders to counter identity-based conflict and build a culture of peace in hard-hit regions. In 2012 and 2013 the Global Peace Foundation worked with partners including Brand Kenya and IGAD to promote peace during the election process through programs like the National Youth Summit. The efforts were later directly credited for contributing to a peaceful election. The One Nation under God campaign is a nationwide peace initiative encouraging youth to be agents of peace who promote social cohesion and counter political incitement and violence. The Global Peace Foundation is reaching out to stakeholders to create a united front for national unity and peace as the political races scale up.